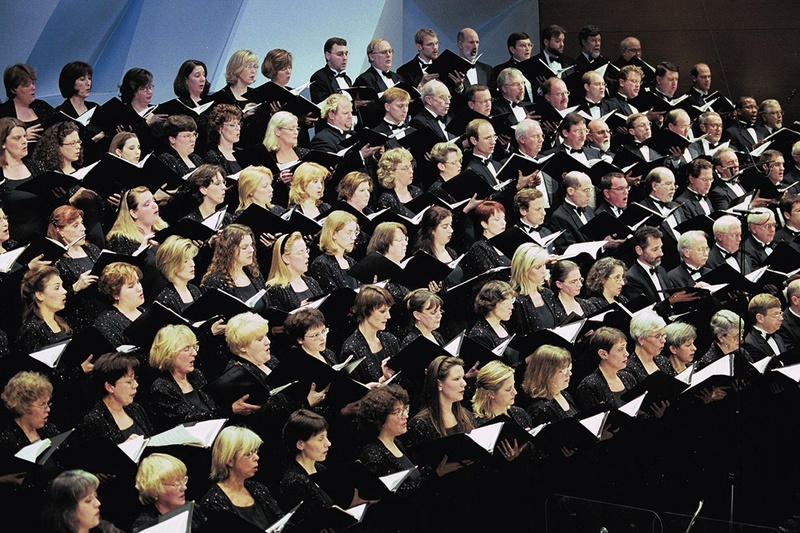 Founded in 1972, the Minnesota Chorale ranks among the foremost professional choruses in the country. They’re best known for their work with the Twin Cities’ two major orchestras—Minnesota Orchestra and the Saint Paul Chamber Orchestra—and are responsible for award-winning community engagement initiatives, educational activities, and independent performances. The Chorale features about 220 singers on its roster, many who volunteer their time, but all audition annually and bring a wealth of experience and accolades to the group. Executive Director Bob Peskin manages the business operations of the Chorale. A number of years ago, Bob attended a financial management workshop conducted by Propel Nonprofits (formerly Nonprofits Assistance Fund). While the Chorale’s income was fairly predictable, there were ups and downs—and, like many nonprofit organizations, they didn’t have much in the way of cash reserves. Bob sought out NAF’s advice, and back in 2009, decided to apply for a line of credit to help the organization with cash flow. Being the principal chorus of the Minnesota Orchestra means that a good portion of Minnesota Chorale’s revenue comes from contract performances with the Orchestra. So when the Minnesota Orchestral Association locked out the musicians and canceled concerts during a 15-month period between 2012 and 2014, the Minnesota Chorale felt it. The entire 2012-2013 season was canceled, and Minnesota Chorale lost about one-third of their income as a result. Employees worked half time for half pay while Bob and the rest of the leadership team sought out new ways to weather the storm. “It was bad enough that the Orchestra performers were out of work,” Bob said, “But we had signed contracts that fueled a huge portion of our income during the course of that year.” The issue was not only the canceled shows, but also that the schedule was unpredictable: The Orchestra would only make plans a few months at a time, making it nearly impossible for the Chorale to maintain a steady schedule and cash flow. Since the lockout, Bob has continued strengthening his financial leadership skills. 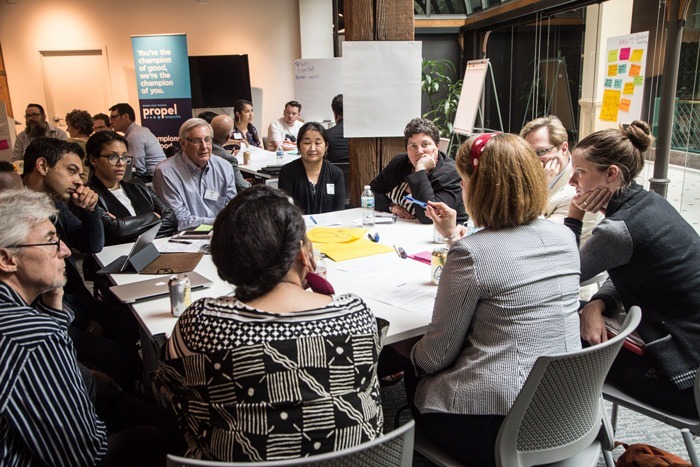 He recently participated in a Financial Leadership learning cohort, a small group of organizational leaders who Propel Nonprofits brought together over the course of six months to discuss the ever-changing, dynamic landscape that is nonprofit finance and sustainability. “For me, it was about a deepening of skills and honing,” Bob said. “It was reassuring to meet with other nonprofit leaders to recognize that you have similar challenges. Even though we work in different areas, there were common threads that bound us all together.” Bob and the leadership team also used the Mission-Money Matrix tool with the board to understand how their finances tied to their mission, and to help them think even more deeply about how they can sustainably operate on mission priorities. “The people there are a delight to work with. They’re responsive, personable, extremely knowledgeable about their subject, and they understand where you’re coming from because of their own experiences. They don’t expect you to already be an expert at these things. They’re masters at bringing you through explanations to empower you to be able to apply what you’ve learned in your organization. Propel Nonprofits is proud to partner with Minnesota Chorale in their important, creative work in our community—and honored to play a small role in helping them create a sustainable financial model that will ensure they’re able to uphold their musical legacy for years to come. 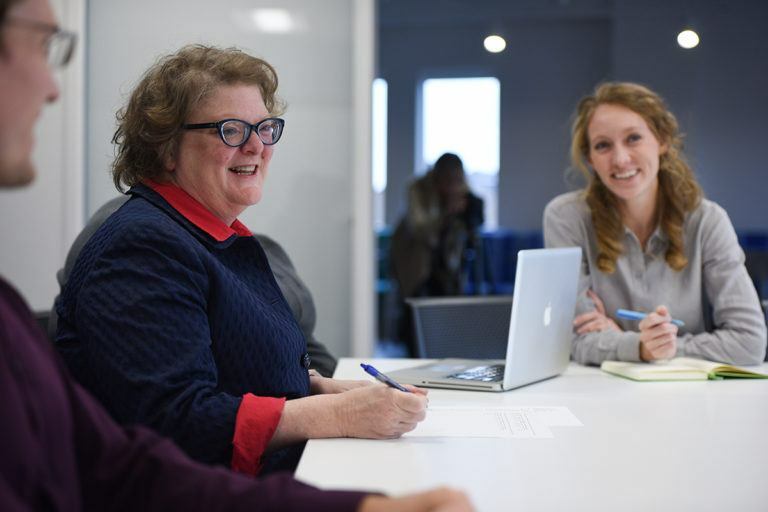 Propel Nonprofits’ public and customized nonprofit finance and board governance trainings provide you with competence, confidence, and capability.